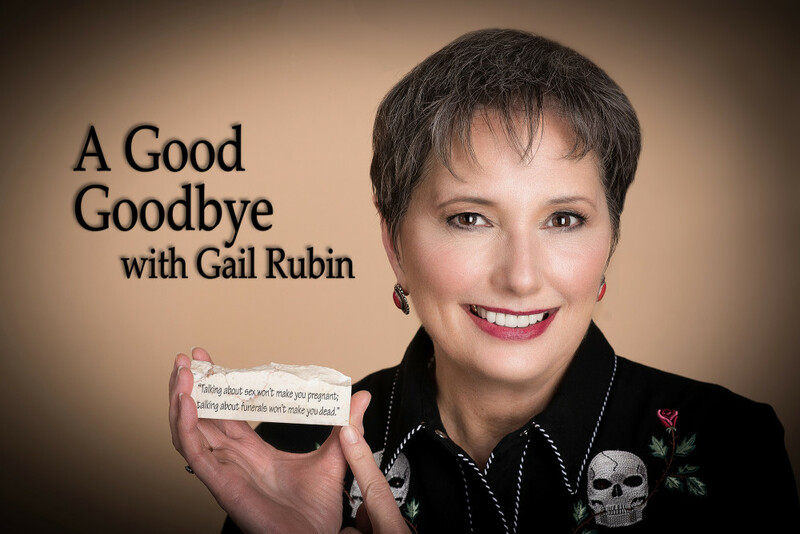 Certified Thanatologist Gail Rubin will be interviewed live today on the Loss and Found radio hour hosted by Cathy Cooper on Seattle station KKNW 1150 AM. The show airs 2:00 to 3:00 p.m. MT/1:00 to 2:00 p.m. PT. Listen live online through this link. Cathy Cooper, host of “Loss and Found” on Seattle radio station KKNW. “I’ve been asked several times, ‘why a show on loss? Won’t it be too sad for people to listen to?’ My response is absolutely not,” said Cathy Cooper, host of Loss and Found. She employs experience, common sense, and even humor in helping people deal with loss. Cathy aims to create a community whereby people who have experienced not only death, but all types of losses, can come together for an hour and at the end of that hour walk away feeling their spirit refreshed. Cathy uses her professional and personal experiences along with expert guests and engaging callers to soothe the wounds of loss. Cathy says her goal each week is to educate, validate and support grieving people. She has worked with grieving individuals for almost 30 years as a Masters prepared Social Worker, therapist and grief counselor. She has extensive experience working with adolescents in a psychiatric hospital setting, with families in their homes and she even ran a group home for young boys for nearly five years. Cathy has worked in hospice for 10 years, six of those years as a Grief Counselor and Bereavement Coordinator and then Bereavement Manager.